In Makuck’s fourth collection of short stories he once again explores the fertile territory of small, rural American towns. With tenderness and clarity, he excavates the mundane surface of everyday lives to reveal compassionate characters who are unexpectedly vulnerable. 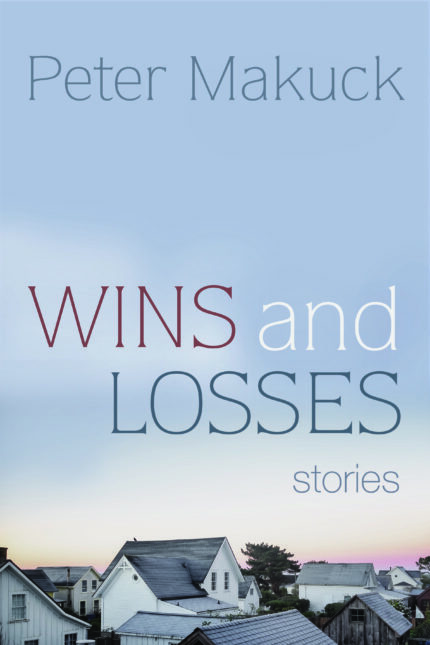 The stories in Wins and Losses are set in a car, a courtroom, a university English department, a sports bar, a jetliner, a laundromat. Characters struggle with regret, desire, expectations, and a need to win when loss is inevitable. A high school student whose father was killed in a car crash and who can speak openly only to his girlfriend delivers prescriptions for a pharmacy and learns much about people and values in the course of his deliveries. A lawyer recalls a dubious family friend, an undercover cop, who pressured him as a young boy toward guns and football. A recent widow finds a cardboard box on her front porch only to discover it contains the body of her dog. A young woman takes her mother to a cardiologist and, while in the waiting room, gets into an argument with a wealthy political conservative at great cost to both of them. In the tradition of Cheever and Updike, Makuck’s stories give us characters struggling with questions of what really matters. The stories in Wins and Losses observe steadily the details of ordinary American lives. They are surprising in the strength of their revelations. Easily recognizable figures change before our eyes, discarding appearances and exposing truths they may not be aware of. Only the most perceptive of authors can claim such insight. Are winners losers in purposeful disguise? Or is it the other way round? Here is a book I read through eagerly. I enjoyed these stories very much and felt their implicit connection to one another. . . . There’s much to admire in the surety and maturity of this writer’s voice and prose. Never showy or overwrought in any way, the writing has the best kind of near-invisibility. There are also moments of lyrical surprise. It was a pleasure to read Makuck’s collection of stories. The characters are believable; the stories are tight; the scenes have purpose; everything about the collection is clear and readable. . . . His world was well observed, and I enjoyed my stay within it.